We all probably make too big a deal of coach’s halftime talks. Normally. Perhaps the one during Kansas’ 84-72 victory over Oklahoma State, though, could end up being an important moment for this Jayhawks team as it looks to steady itself for a run at the Big 12 title. 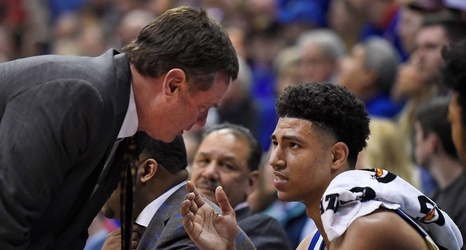 KU should have been up six points at halftime — or at least Kansas coach Bill Self thought that way on the team’s sideline. Instead, two mistakes turned it into a tie game. Twice, while getting back in transition, Quentin Grimes failed to pay enough attention to sharpshooters Thomas Dziagwa and Lindy Waters, giving them enough space to knock down open shots.